Orchard's Delight Fruit Basket is a carefully selected assortment of fresh fruits which include juiciest variety like melon, Plums, Apricots and more fruits that are beautifully assembled in a basket with stylish ribbon. It is a graceful gift one can present to a lovely family, friends or relatives on their special occasions such as Birthday, anniversary, Christmas or other such joyful celebrations. Find a perfect way to rejoice your loved ones with this fancy fruit basket. 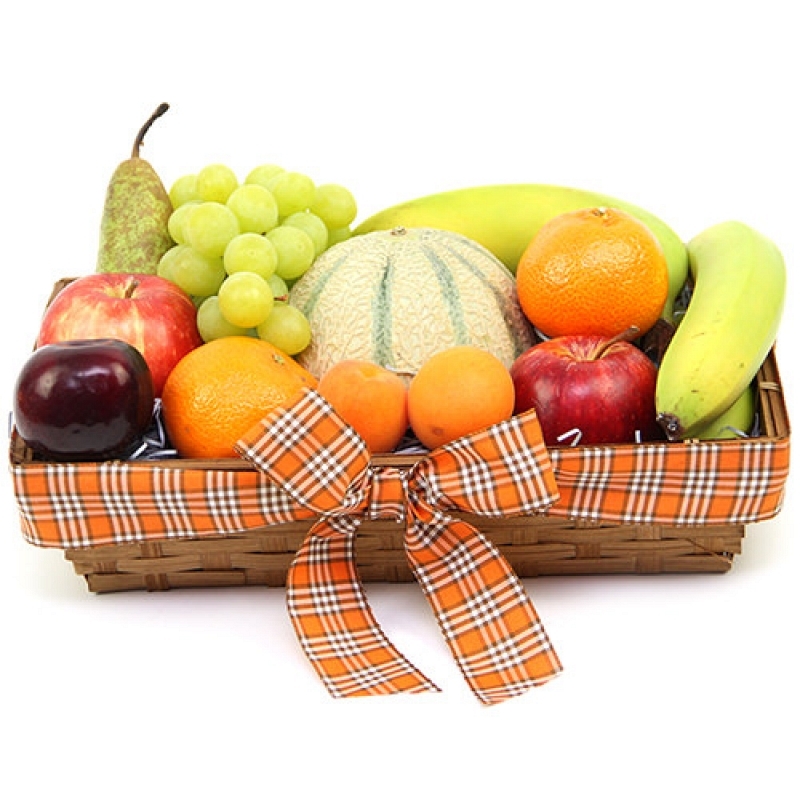 Send this jumbo fruit basket by post to UK with your personal message card attached.